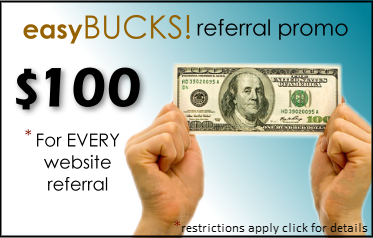 We will pay $100 CASH for any web referral that turns into a website sale. Sean and Courtney Thompson took over the reins of J&S Design House on July 15, 2013, and were pleased and excited to continue the tradition of commitment and excellence put in place by the prior owners, Jon and Sue Kammerman. In March of 2015, Sean and Courtney decided it was time for the business name to better reflect their ownership and goals for the company. J&S Design House became Thompson Websites. Existing customers will be please to note that all existing artwork and logos have been retained, which means no disruption of current services. 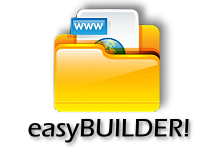 We now bring you best website building service on the internet with the Weebly easyBUILDER. We're a small business whose purpose is to help other small businesses succeed. We listen to you and together we will help define your web presence needs. We understand all of the complicated aspects of the Internet, and can show you how to utilize the power and use it to build your business. We know you have a choice when it comes to web designers. That's why we're super-focused on finding and utilizing the best possible website building platforms available and providing our services at a fair price. We're passionate about helping you define your web presence.